Ninth Letter is delighted to be able to feature the first two chapters from Crave: Sojourn of a Hungry Soul, the stunning memoir by Laurie Jean Cannady. Chapter 1 appears below; Chapter 2 will be published on November 16. “Hungry” operates on several levels in Cannady’s memoir. There is, of course the elemental hunger for food, of which there is never enough in a poor family. There is the dangerous hunger of men’s sexual needs, which creates such trauma in the lives of women. There is the hunger to reveal secrets and record the past with clarity. There is the hunger for healthy, dependable human connection. And there is the hunger for redemption and deliverance, for the transformative journey from victim to survivor. Cannady reveals and balances these hungers with great skill and empathy. She is a powerful truth teller, and though her memoir doesn’t flinch from desperate wounds, her prose often rises to poetic grace. 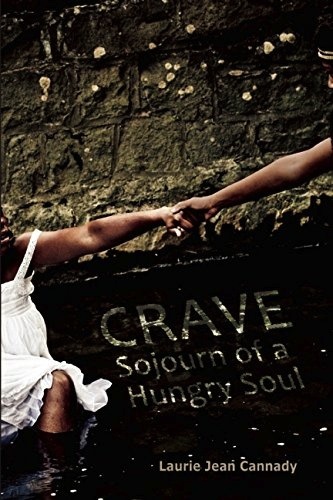 Crave: Sojourn of a Hungry Soul, has just been released by Etruscan Press. Before I spent a moment in this world, I was hungry. Momma told stories of my body tightening inside her body even though she was just four months pregnant with me. Food was a scarcity in Momma’s womb, my first home, and with most meals consisting of unsweetened tea and butterless biscuits, there was never enough to soothe her rumbling belly, my nursing brother, and me inside. Luckily for Momma, for us all, delayed satiation was nothing new. She’d also been hungry since before she was born, just as her mother and her mother’s mother had been. While some families bequeath legacies of power, wealth, and pride, my family passed down the ability to withstand prolonged periods of starvation. Momma was born April 5, 1956, unless you believe her birth certificate (which claims she was born April 9) over her daddy’s word. She was the youngest of Andrew Boone and Rachel Griffin’s eleven children, which meant she’d survived on leftovers and hand-me-downs long before she had us. Her birth name was Lois Jean Boone, but everybody called her “Pretty.” The local milkman, a white man who handed her a silver dollar each time he delivered, proclaimed “She’s so pretty, ‘Pretty,’ should be her name.” In a severely segregated Chesapeake, Virginia, his word meant something, so the name stuck. Her daddy, Big Boone, cleaned ships at the Norfolk Naval Shipyard. After he and Grandma Rachel had fourteen children, with only eleven surviving childbirth, their fast-growing family proved a perfect combination for the type of poverty that makes the poor feel prosperous. Big Boone, being a resourceful man, supplemented his meager income by partnering with a German immigrant, becoming Deep Creek’s first corn liquor bootlegger. Big Boone brewed liquor so potent it singed nostril hairs. That’s why he was the most sought-after bootlegger in all of Chesapeake; potency equaled power, and there was no denying that long jowl, those bushy eyebrows, and protruding eyes had the power to break a man in half. On Friday evenings at the Boone home, coworkers became customers as they crowded his kitchen, plastic cups of liquor in one hand, small cans of grapefruit or orange juice in the other. They exchanged dollars, quarters, and dimes for spirits, and by the end of the night, some were even paying with pennies, for which Big Boone kept stacks of penny rolls. Once old enough, Momma, alongside her brothers and sisters, quietly served them, dodging quick hands, negotiating bodies, pressing, as men moved from room to room. Before Friday nights became juke nights, the house had been quiet, filled with Momma’s brothers and sisters cooking, cleaning alongside their mother. They had been happy then, most times. Big Boone, still himself, loved hard, but his hard balanced well with Grandma’s soft way of doing everything, her way of kissing Momma when she sent her off to school, her way of consoling her daughters when she learned they were pregnant, and her way of loving Big Boone, open, as if she could fold all of his hard into her soft body. But Big Boone’s absence changed things. Working at the shipyard, he spent days out at sea, while his wife managed the bootlegging business. Wherever there is liquor, there will be men. Wherever there is liquor, men, and a lonely, married woman, there will be trouble, and trouble set up shop in Big Boone’s home. Soon, days out to sea became breaks between fights, which ended with Grandma Rachel as bruised as Big Boone’s ego. He beat her, teased her, and later entreated her to sample his spirits just to take off the edge. Eventually, there was more edge than there was her, and he didn’t have to entreat anymore. By then, she drank whether or not he was home, whether or not they were fighting, until she moved in with one of her girlfriends and started her own bootlegging business. Her liquor might not have been as good as his, but she had what he did not—beautiful women serving it. Customers began bypassing Big Boone’s to get liquor that included female companionship, which was as much a commodity as spirits themselves. In Big Boone’s mind, Grandma Rachel had stolen his customers, just as she’d stolen herself as his woman. For that betrayal, he ordered her never to come back to that home on Shipyard Road. Despite his demands, there was still that tug of love, of responsibility, which pulled her to that dirt road, to that little house, whenever Big Boone was certain not to be there. I often imagine her, more a mother than afraid, praying all calculations had been correct, and she would miss Big Boone as she visited the younger Boone babies. One day, Momma, six, stared out the window, watching for her mother. Soon after Big Boone left for work, Grandma appeared on the horizon, pulsing down the dirt road as if she were a steamroller, barreling toward something that required her in order to be even. Her black hair, curled into flips, surrounded cheeks so taut that kisses might have made them pop. Despite having birthed fourteen children, she was slim, with narrow hips, and she wore those signature breasts all Boone women wear, which make us look as if we’re carrying a load everywhere we go. Once she entered the house, Grandma sat on the couch. Momma pressed her body between her legs. I see them connected, Momma’s cheek to Grandma’s chest. They are engulfed in an aura so bright, I can’t tell where Grandma’s spirit ends and Momma’s begins. They shelter in that unmoving moment, where mommas come home to their little girls, where girls grow into women who aren’t hungry before they are born. Momma cries, “No,” her hands extended toward her mother. Grandma hugs her, but she does not pick her up to go. Then the impact, so ferocious both boys jump away from the door. They grab their mother and thrust her and themselves out of the window, the room’s only accessible exit. Big Boone kicks open the door and stands in the middle of the frame. Every part of his body shakes. His hands are curled into fists. A white shirt layers every muscle of his chest as it pulses up and down. His eyebrows sprout from his forehead like dried and frazzled paint brushes. With eyes bulging, he scans the room for his wife. Momma watches as her daddy throws pillows on the floor, as he flings clothes and blankets out of the closet. She stares at the window where her mother and brothers made their escape. Big Boone walks over and sticks half of his body out. Unable to find his mark, his eyes rest on Momma, sitting quietly on the floor. He approaches her. She lifts her arms to him. He pauses, places his hands under her armpits, and swings her into the air. Her legs wrap around his waist. She settles on his hip and presses her cheek against his chest. They walk out of the room, connected. New moment. New Momma. Ten years later, Grandma Rachel would be dead, and that moment would be one of many that Momma revisits in order to remember her. But what those moments cannot give, no matter how hard they are studied, are those elusive remembrances, the smell, the touch, the voice of a mother. Those are not moments, but mementos every motherless child works hardest to keep. They are the ingredients of a hunger never satisfied, no matter how much there is to eat. I see this in Momma as she shares her portion with me. This is how I know my own hunger, placed in me before I was born.